This 64 sq.m. 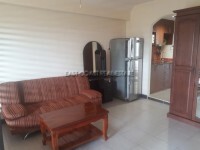 1bedroom 2bathrooms is situated in this very popular Jomtien Beach Condominium. The building is 200 meters away from the beach. 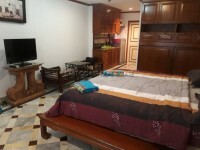 Fully furniture, TV, A/C and a European kitchen. Building facilities include two large swimming pools, two fitness centers, free rent bicycles to be used on the territory of the condo, laundry, mini-mart, 24 hours security. It is direct beachfront on a taxi route. The title deed is held in foreign name.